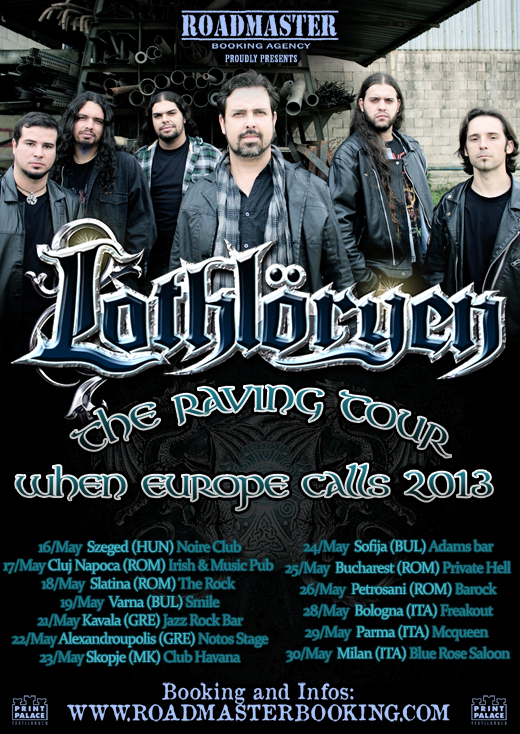 It is with great pride that the agency Roadmaster Booking announces the dates of the first European tour of LOTHLÖRYEN. The tour has shows scheduled in Hungary, Romania, Bulgaria, Greece, Macedonia and Italy. The sextet Melodic / Power Metal Folk LOTHLÖRYEN, will be promoting his latest work “Souls Raving Society” as well as the second version of the album “Some Ways Back Some More.” In some shows the tour will have also the Croatian Thrash/Death Band WAR-HEAD.